Photographing the northern lights at 2a.m. at -40 is always fun. On this timed exposure, my subject stayed just long enough to create a ghost image by the tent. 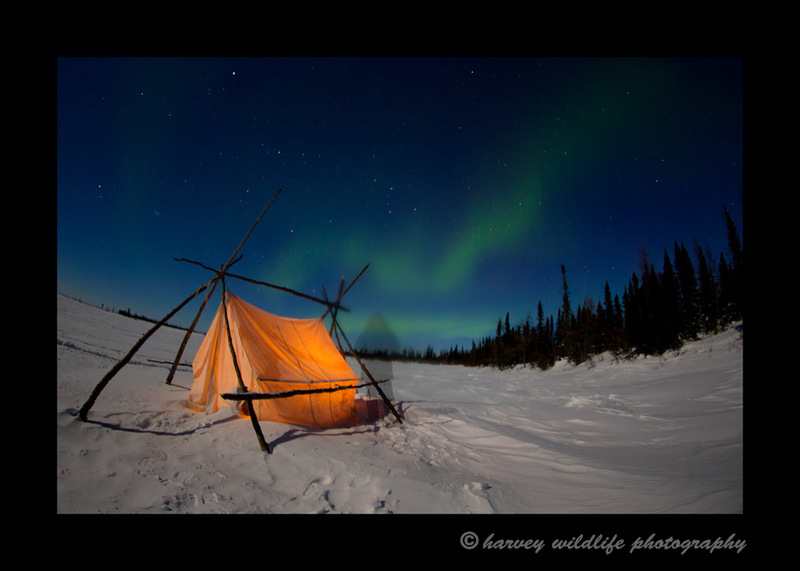 My 'Ghost Aurora Borealis' was a runner up in the 2014 Canadian Geographic Annual Photo contest.